Lisa Mann has created another sensational disc with her latest, Satisfied, that is chock-full of her amazing vocals and wonderful instrumentation featuring Her Really Good Band and a bevy of local musicians. Catchy tunes that demand continual replay and will have you tapping your toes and snapping your fingers along to each. All but four of the tracks were written by Lisa herself, further displaying a knack for clever songwriting that consistently grows stronger with each new recording she offers. The core band of Lisa on bass, Jeff Knudson on guitar, drummer Michael Ballash and Brian Harris on keys have developed into such a sharp, tight and precise outfit that shines brightly throughout the disc. 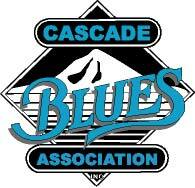 It is no wonder that they receive accolades every year from the Cascade Blues Association’s Muddy Awards and recently took home the award for most outstanding achievement in the blues from the Portland Music Awards. The camaraderie works to perfection on Satisfied. Lisa’s bass hooks are captured nicely next to Jeff Knudson’s sizzling guitar and Brian Harris’ intricate organ work. The song selections are all highlights. There is no down moment at any point on the disc. There is a range of emotions throughout and numbers like the Peter Allen/Carol Bayer Sager track “Alone” can bring tears to your eyes while the humor of originals “I Was Gonna” or “See You Next Tuesday” will find you smiling to yourself. Knudson’s guitar work delivers crisply on Little Milton’s “Satisfied,” smolders on “Surrender To The Blues” and “Til The Wheels Come Off,” plus the acoustic work on “Have I Told You I Love You Today” is absolutely beautiful next to Lisa’s breathy voice. There is no shortage of fantastic friends sitting in on the album, all professionals who bring their magic forth magnificently. Kevin Selfe’s snappy guitar on Johnny “Guitar” Watson’s “Don’t Touch Me” alongside the horns of Joe McCarthy, Dan Fincher and Brad Ulrich give this timeless classic a reading that’d make Johnny himself wishing he’d been part of this recording. Lloyd Jones inspired the song “Always Nobody,” where Lisa explains that sometimes you’re more appreciated outside of your own home town with Lloyd sitting in on vocals and guitar, while Brian Harris’ keys are rolling steadily. Mitch Kashmar’s chromatic harp is a grinding force on “Kings Of Black Gold” pounding the song’s flow matched intensely by Knudson’s guitar. 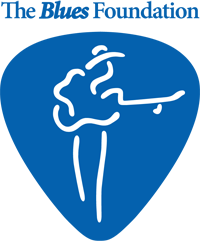 That tune is followed by the brightly, happy go lucky harp of Joe Powers on “Doin’ Alright,” with Lisa’s feel good message fueled by a chorus consisting of a vocal cast of Sonny Hess, Brian Foxworth, LaRhonda Steele and Rae Gordon. Other great musicians on the disc include Kevin LaBaron on sax, Caton Lyles on percussion and former Insomniacs Alex Shakeri on keys and Dave Melyan on drums. The best part of Lisa Mann’s music is that it can appeal to a variety of different genres. She may be a blueser at heart, but many of these songs can easily cross over to the pop and rock market. And it should be a winning disc wherever it is played and heard. Simply put, Satisfied is one satisfying album!